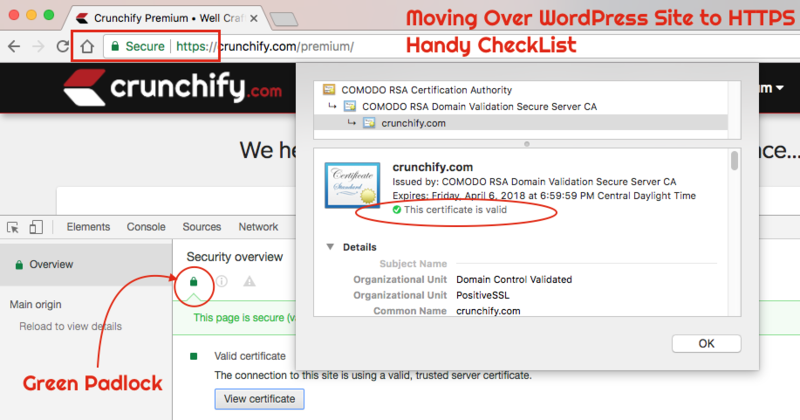 Today we enabled HTTPS site-wide on Crunchify Premium site. It was something I wanted to do since last 6 months and finally made my mind to move to HTTPS. This is THE handy Checklist and Complete Guide Moving over to HTTPS (How to Migrate from HTTP to HTTPS). As per Google Webmaster blog, it has SEO advantage. Google SERP (Search Engine Result Page) will honor HTTPS as a ranking signal and for any blogging business, it’s a big deal. Trust – More secure website experience avoiding man-in-middle attack. If you have Shop, Cart and Checkout pages then it helps encrypts all communication, including site addresses, which guards credit/debit card numbers, social security number (SSN), browsing history, etc. Better company/site reputation and identity verification. Backup your Database. 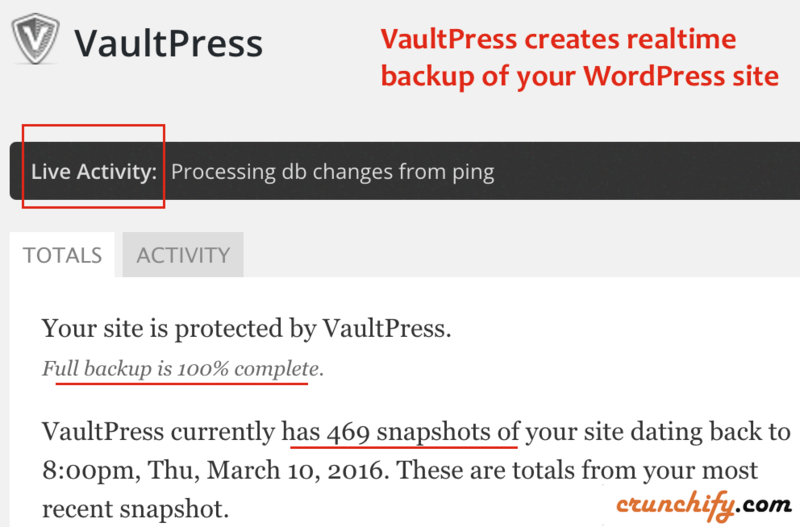 I use VaultPress realtime backup solution but still perform a simple DB backup. Buy SSL Certificate. It’s just $9 at Namecheap. If you are using CDN then buy SSL cert for your CDN domain too. In my case I purchased Two SSL certificates. For us it’s https://crunchify.com and https://cdn.crunchify.com. There are few options for you. You could buy wild card multiple subdomain certificate or you could purchase two single domain certificates which I got. 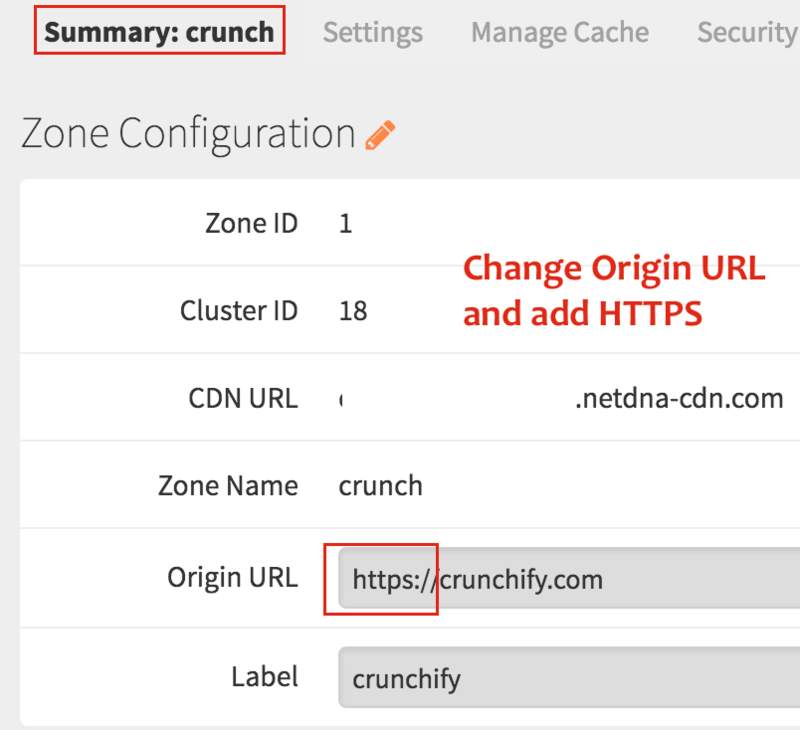 On your Origin Domain: Follow detailed steps: http://crunchify.me/2aAzV8A. On CDN: I use MaxCDN as my CDN provider. Go to EdgeSSL and install your certificate. Change Origin URL to https:// under your Zone Configuration tab. Part-2. Let’s perform migration. Follow each steps. Change to HTTPS URL on WP Super Cache -> CDN tab. Part-3. Fix Mixed content warning issue if any. Fix Mixed Content Warnings. What does that means? 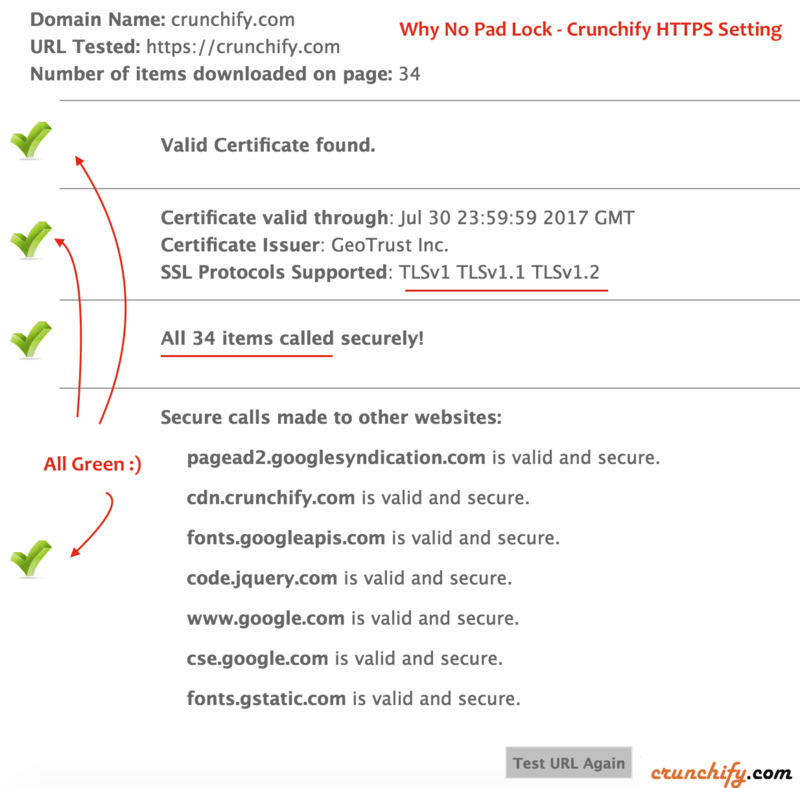 If your site is loading non-https contents then you may not see green Padlock on your site. I would suggest to keep looking for http URL which is loading on your site and move it to https. Try following article on How to fix yellow pad lock issue? Go to Why No Padlock site and verify if everything is fine. It’s time to force everything over to HTTPS. Add below code to your site’s .htaccess file. This code will redirect all non-secure http incoming urls to secure https. If you have followed this tutorial to Fix CDN and Image index issue then change URL in functions.php file too. Once you are done with all above steps and you verify your site’s most important pages, try changing your site URLs to all of your Social Profile, Webmaster tools, etc. No need to submit a change of address in Google Search Console if you are only moving your site from HTTP to HTTPS. Is there any immediate implications? We may see drop in search. This fluctuations can happen with any bigger site change and moving to https from http is a big change. How long will a move from HTTP to HTTPS take? It may take up-to few weeks or more in some cases. Do I have to remove http version of site from Google Search Console? I don’t think so. I’ll keep HTTP URL and sitemap in Google Search Console. Hey App. Wonderful tips on setting up HTTPS. Have a question on Free Let’s Encrypt and paid certificate. Is there any disadvantage of using free cert on site?